“I got an email from the Spartan Race about a championship screening to be done the second weekend of December…I convinced my friend to accompany me to watch the special at a bar near Union Square. I was one of a handful of people at Pop Pub, so I sat at the bar next to a guy wearing a World’s Toughest Mudder sweater, I struck up a conversation [and] he told me about a workout group that he helps run that meets at 6:30AM throughout the city three days a week. I told him I would see if I could check it out…a few days later, I found myself walking to the Flat Iron building wearing multiple layers walking over sheets of ice to see people smiling and hugging. I felt out of place until a tall friendly face walked over and said “Hi I’m Dave, this your first time?” to which I replied “Hi, I’m Chris. I met Anthony and he invited me. I came to check it out.” Dave gave me a warm smile and said “you chose a great day to start” to which I smiled and replied “well you have to start sometime”. The rest, is Rise History.” -Chris L.
“I was harassed by a crazy coworker to join “Come on we will be at Union Square. 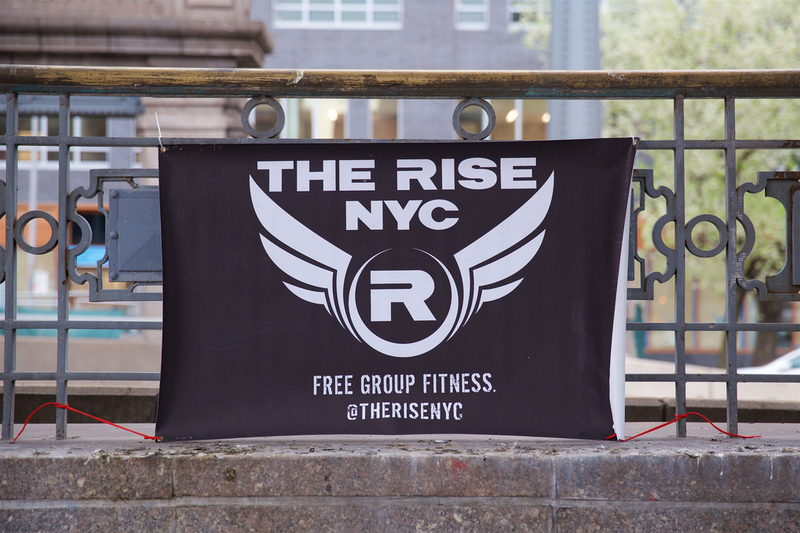 It’s close to you so no excuses, and don’t worry winter is over.” It snowed that day…..” -Erica M.
True to our “grassroots” nature, The Rise is solely driven by a local community that wants to get fit and have fun. Don’t be shy; Make this your week to just show up! Chris L. wants YOU to join The Rise!